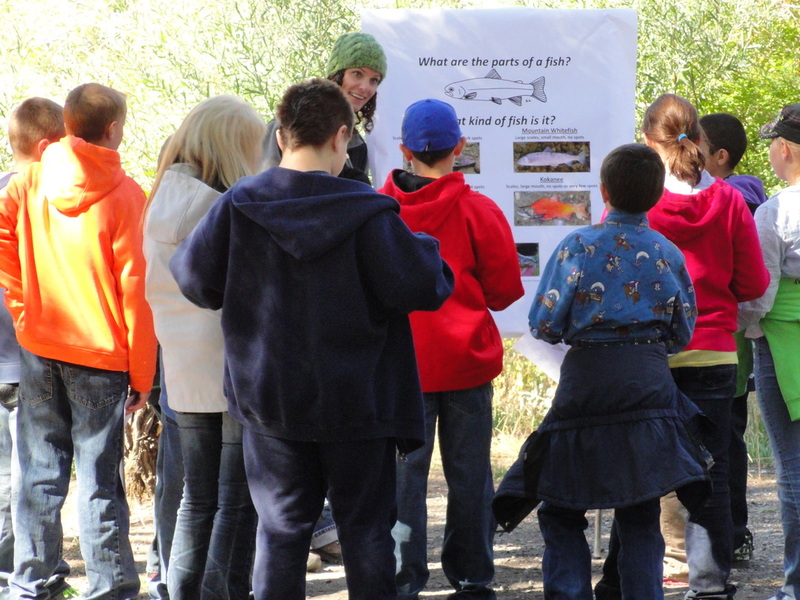 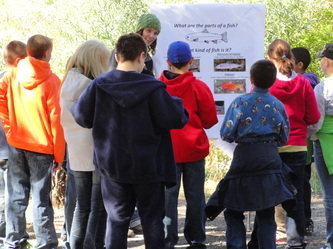 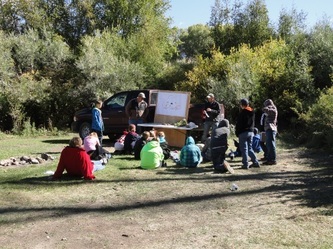 On Thursday, September 27th, fifty five 6th grade students from both Butte Middle School and Mackay Elementary gathered at the lower sportsman’s access area to participate in a natural workshop sponsored by the Butte Soil and Water Conservation District. The students attended presentations by the U.S. Forest Service, Bureau of Land Management, Lost River Coordinated Weed Management Group, Butte Soil and Water Conservation District and Natural Resources Conservation Services. 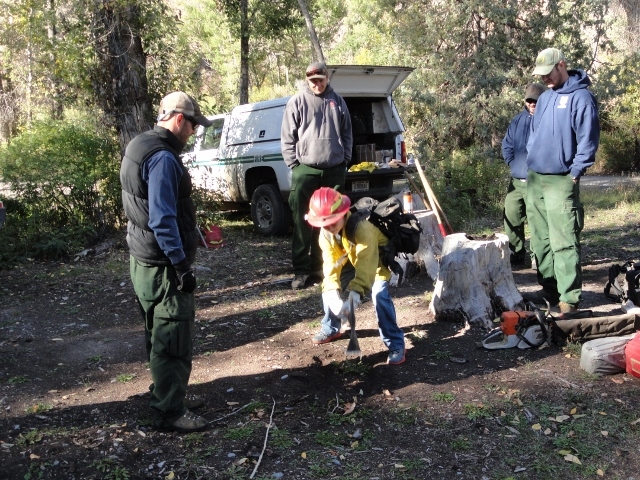 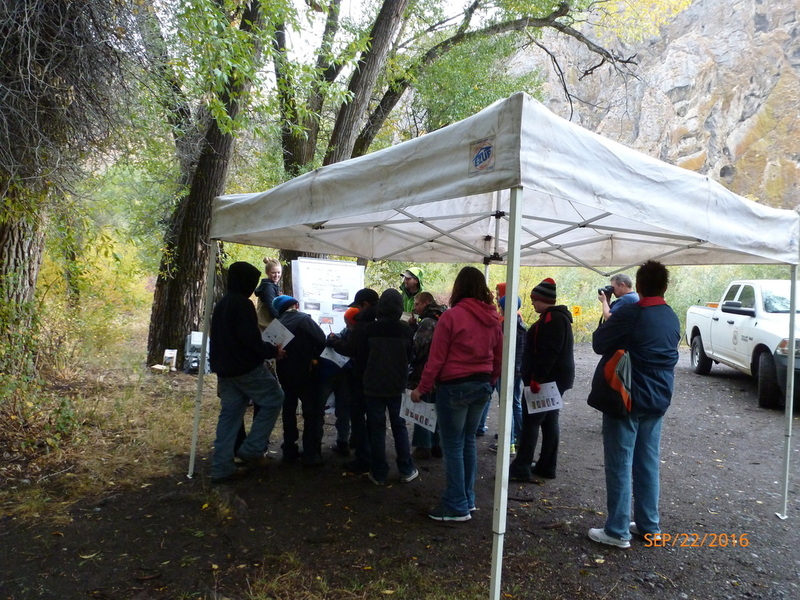 Bart Gamett, Cassi Wood and other helpers from the U.S. Forest Service discussed how to identify different species of fish found in the Big Lost River and the Little Lost River. 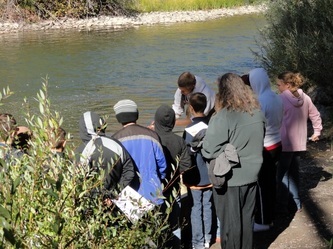 They had a tub full of fish so the students got to see hands on what the fish looked and felt like. Many lucky winners won a free fishing pole. 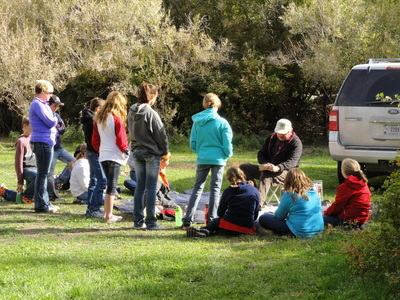 Steve Wright, from the Bureau of Land Management, talked to the students about the history of the area and how the weapons and tools used by Native Americans were made and used. 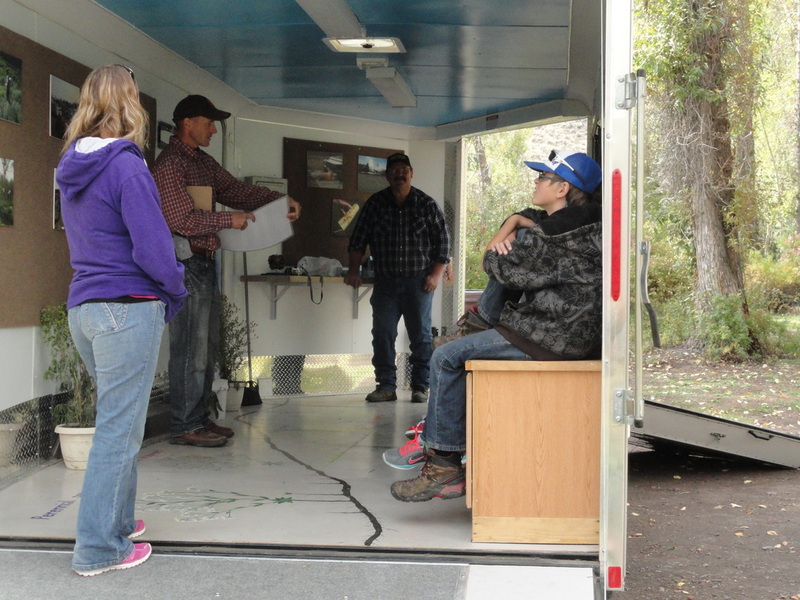 Representing the Lost River Coordinated Weed Management Group, Mark Wheeler and Missy Hollis, talked to the students about how to identify noxious weeds and the importance of controlling those weeds. 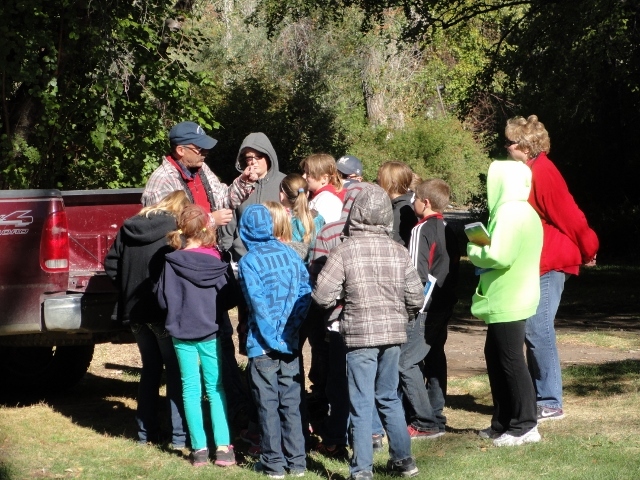 Lara Fondow, from Natural Resources Conservation Services, talked about sage grouse, cranes and showed the kids how to use an animal tracker to find an animal with a tracking collar on it. 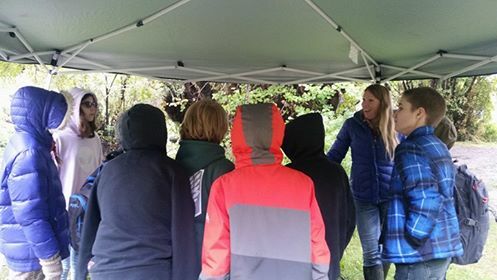 Stephanie Barnes, from Butte Soil and Water Conservation District, and Trudy Pink showed how different types of soil can retain water better than others and how to improve not so good soil by adding compost to it. 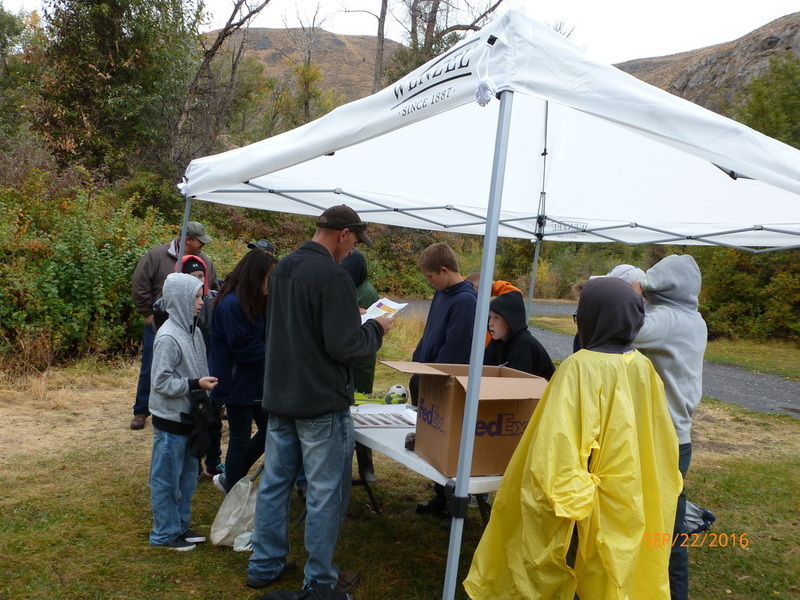 Later in the day the students traveled to the Mackay Dam and had lunch which was provided by Butte SWCD. 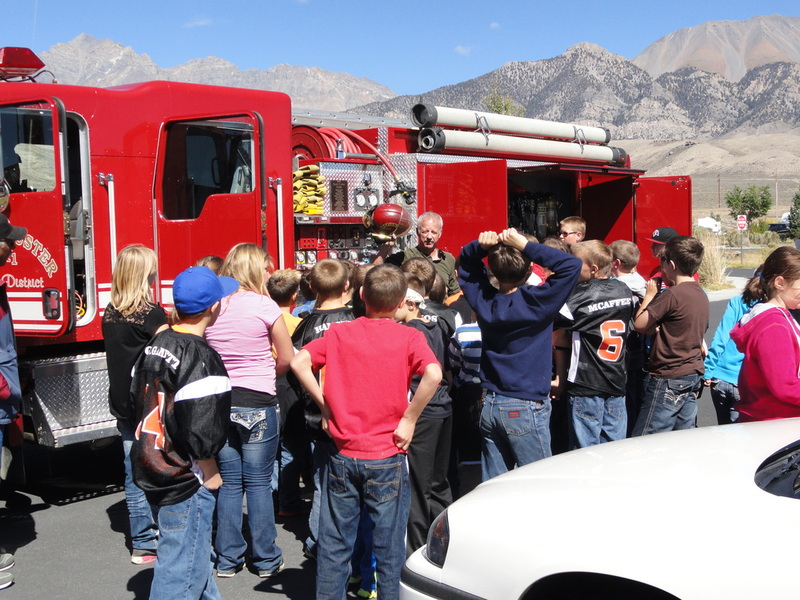 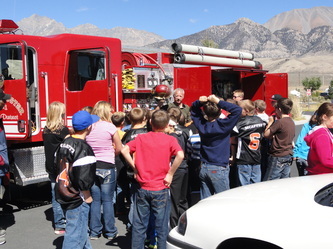 After lunch Ken Day brought up one of their fire engines from the South Custer Fire Station and showed the kids how it worked, some of the clothes they use and how to use the fire hose first hand. 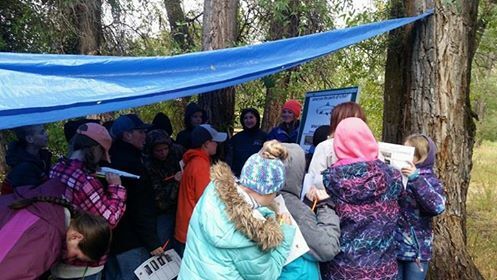 Thank you so much to all who participated in the 2018 6th Grade Natural Resource Tour. 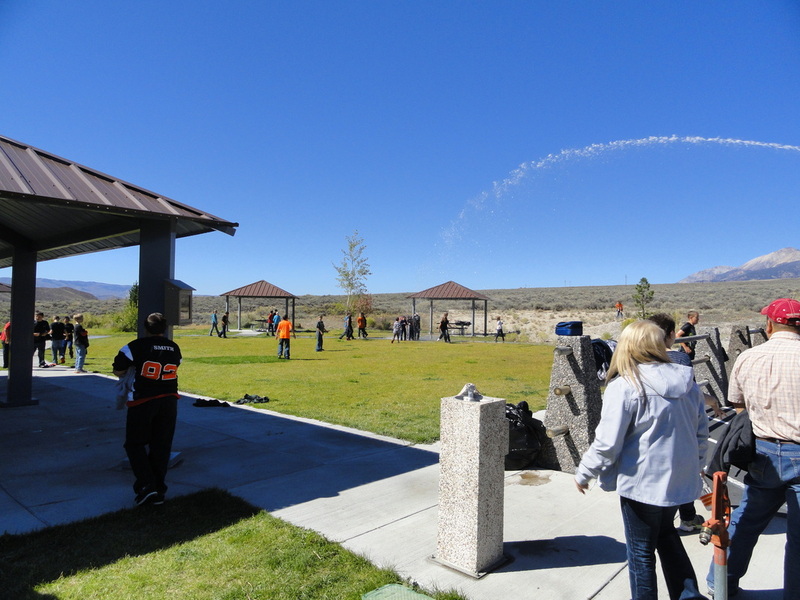 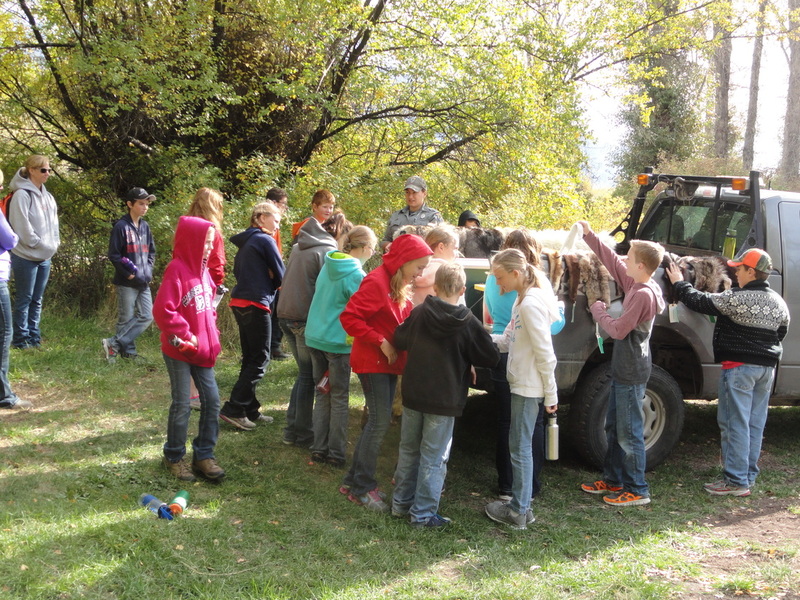 On Thursday, September 21st, sixty 6th grade students from both Butte Middle School and Mackay Elementary gathered at the lower sportsman’s access area to participate in a natural workshop sponsored by the Butte Soil and Water Conservation District. 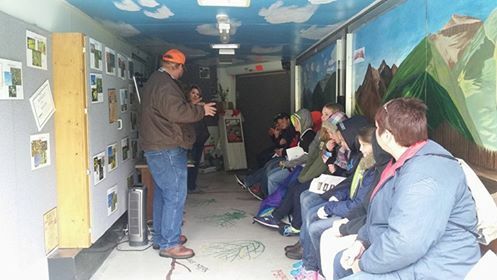 The students attended presentations by the Forest Service, Bureau of Land Management, Lost River Coordinated Weed Management Group and Natural Resources Conservation Services. 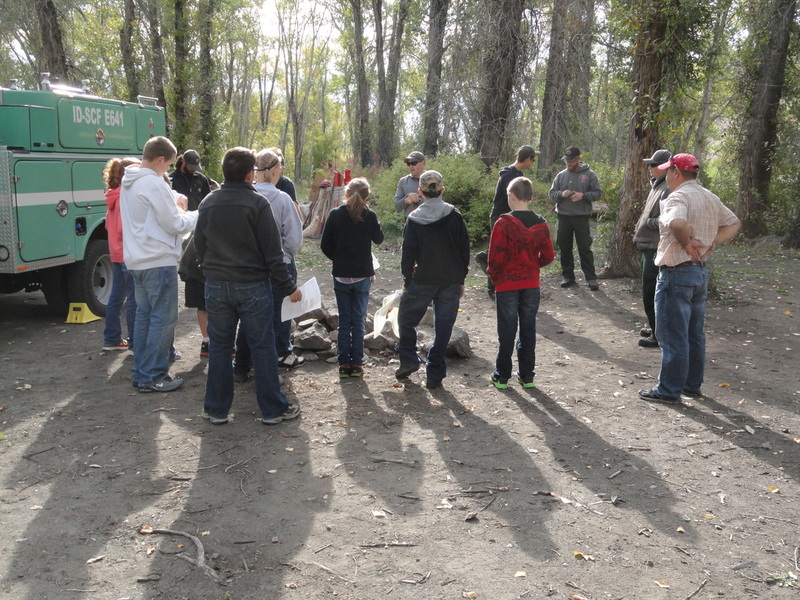 Bart Gamett and helpers from the U.S. Forest Service discussed how to identify different species of fish found in the Big Lost River and the Little Lost River. 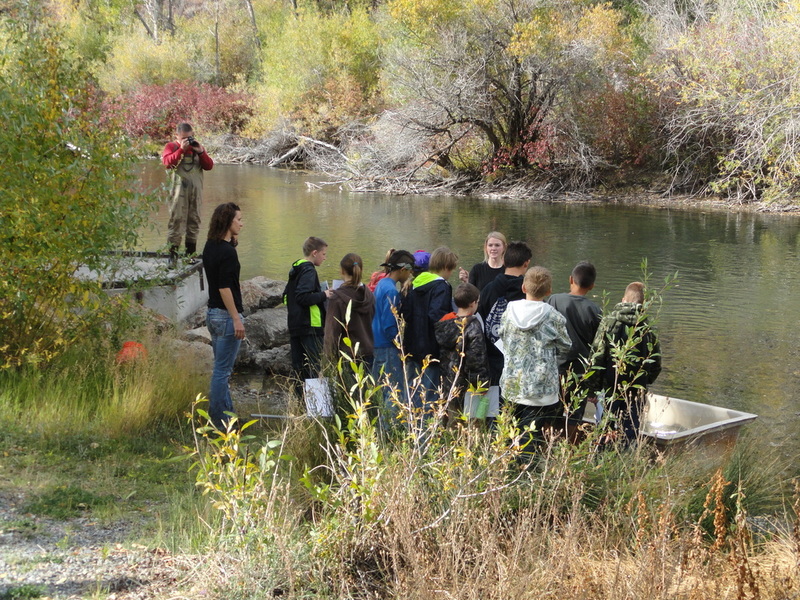 They had a tub full of fish so the students got to see hands on what the fish looked and felt like. 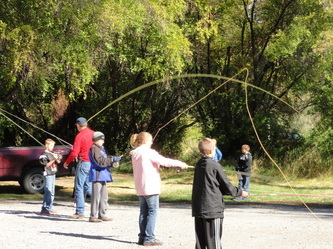 Four lucky winners got to win a free fishing pole. 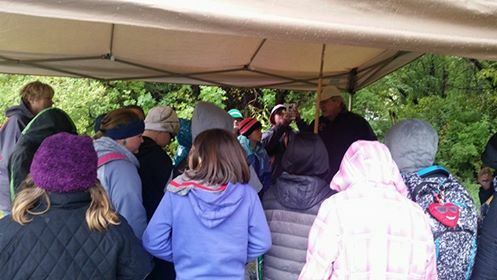 Steve Wright, from the Bureau of Land Management, talked to the students about the history of the area and how the weapons and tools used by Native Americans were made. 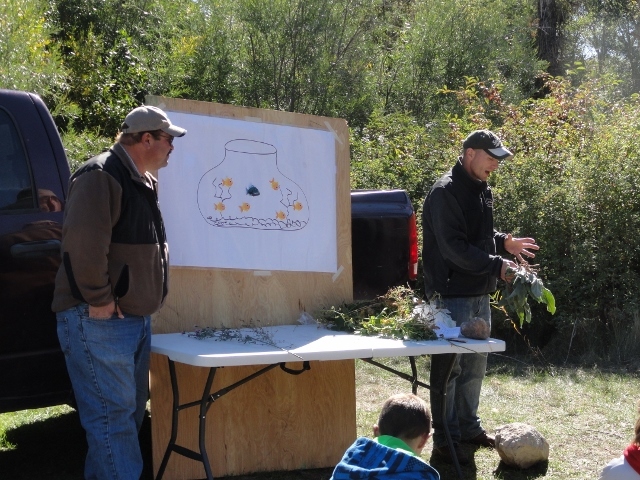 Representing the Lost River Coordinated Weed Management Group, Mark Wheeler and Ciera Bench, talked to the students about how to identify noxious weeds and the importance of controlling those weeds. 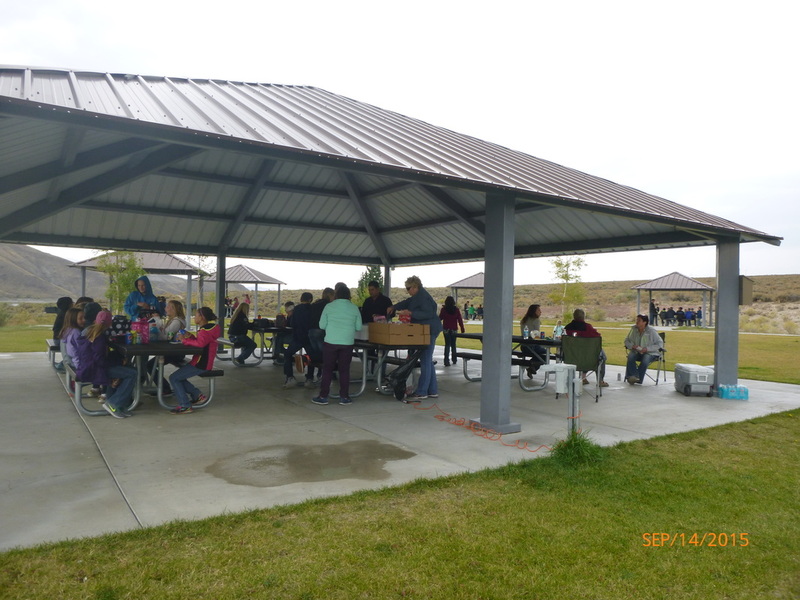 Later in the day the students traveled to the Mackay Dam and had lunch which was provided by Butte SWCD. 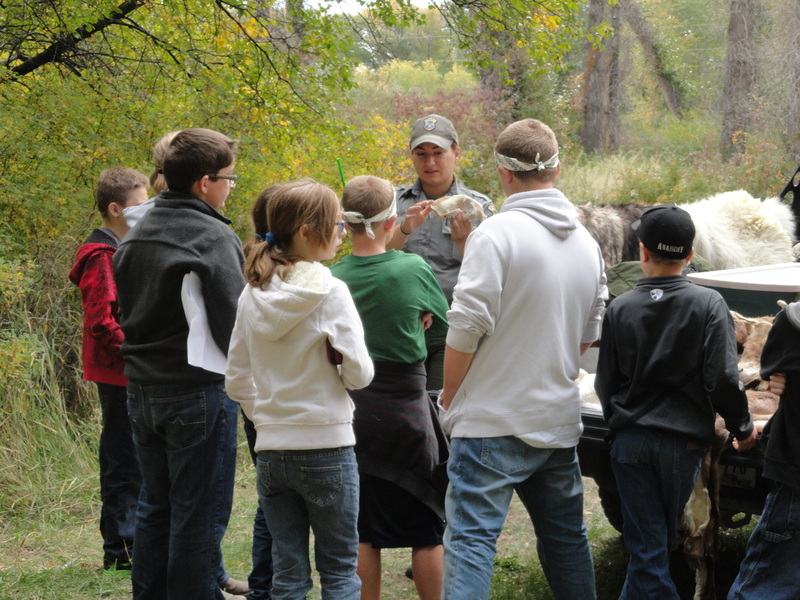 Thank you so much to all who participated in the 2017 6th Grade Natural Resource Tour. ​On Thursday, September 22nd, over sixty 6th grade students from both Butte Middle School and Mackay Elementary gathered at the lower sportsman’s access area to participate in a natural workshop sponsored by the Butte Soil and Water Conservation District. 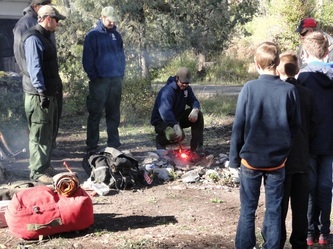 The students attended presentations by the Forest Service, Bureau of Land Management, Lost River Coordinated Weed Management Group and Natural Resources Conservation Services. Bart Gamett and helpers from the U.S. Forest Service discussed how to identify different species of fish found in the Big Lost River and the Little Lost River. 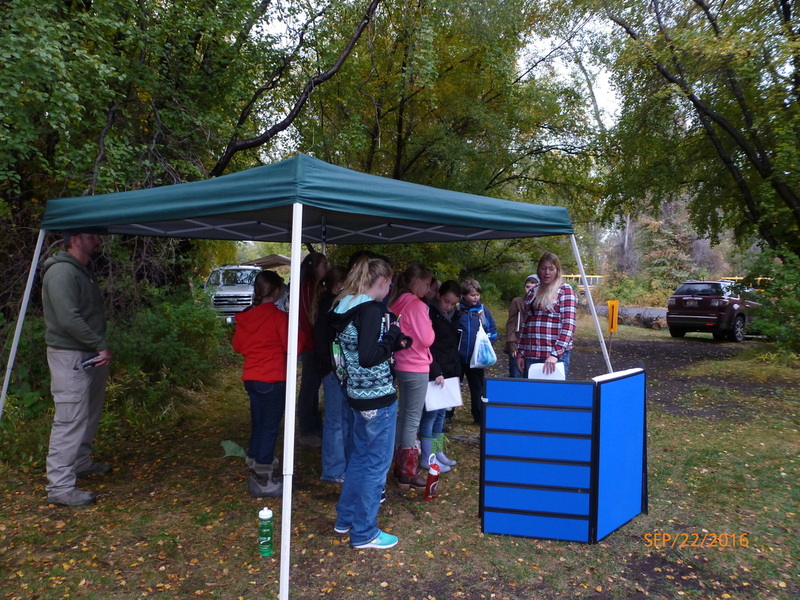 They also explained some of the equipment they use to count and identify the fish. They had a tub full of fish so the students got to see hands on what the fish looked and felt like. Representing the Lost River Coordinated Weed Management Group, Brad Gamett and Mark Wheeler, talked to the students about how to identify noxious weeds and the importance of controlling those weeds. 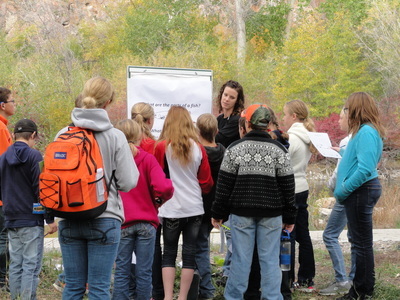 Lara Fondow, from Natural Resources Conservation Services, did a presentation on sage grouse. 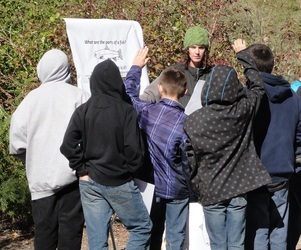 She talked about their habitat, their mating dance and their diet of eating leaves, buds, flowers, forbs, and insects in the summer and lives off of sage brush in the winter. 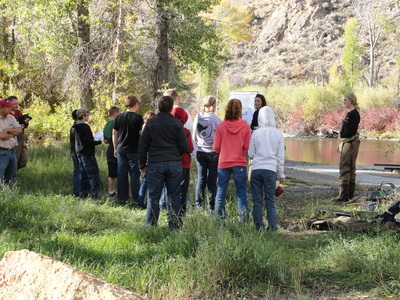 Later in the day the students traveled to the Mackay Dam and had lunch which was provided by Butte SWCD. 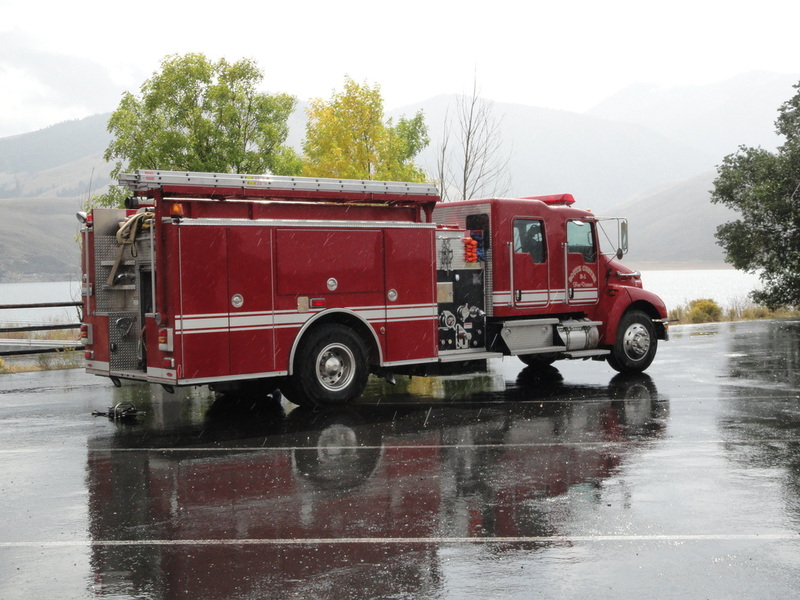 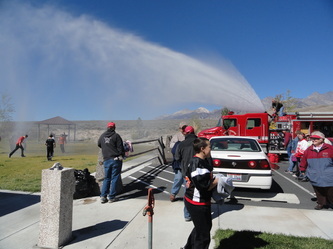 Following lunch Ken Day, a firefighter for the South Custer Fire Department, explained the equipment on the fire truck and demonstrated how far and fast it can pump 1000 gallons of water by soaking numerous students with its spray. 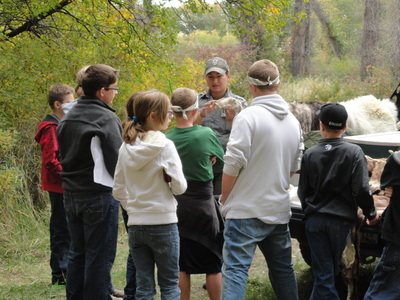 Thank you so much to all who participated in the 2016 6th Grade Natural Resource Tour. 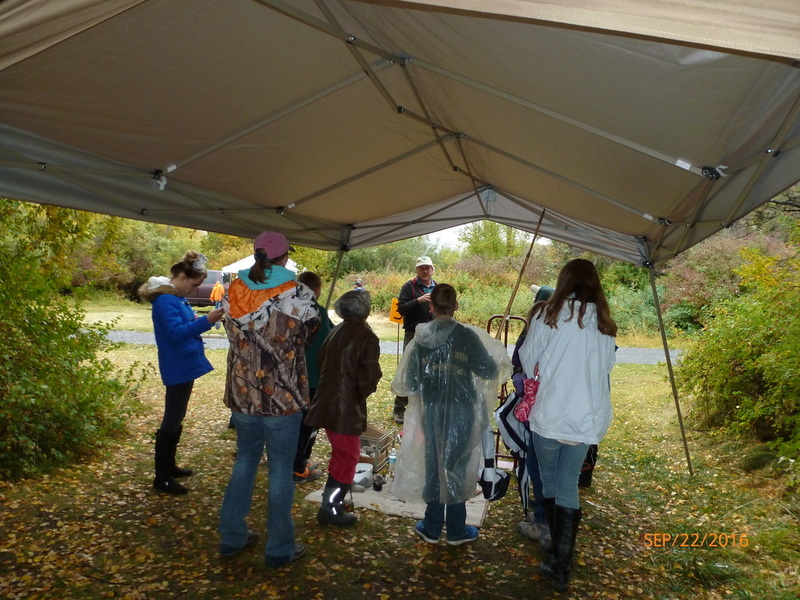 Thank you Mrs. Kimball and Mr. Angell and the 6th grade students from Mackay and Arco for participating in our 2015 workshop. Thank you Mrs. Kimball and Mr. Angell and the 6th grade students from Mackay and Arco for participating in our 2014 workshop.